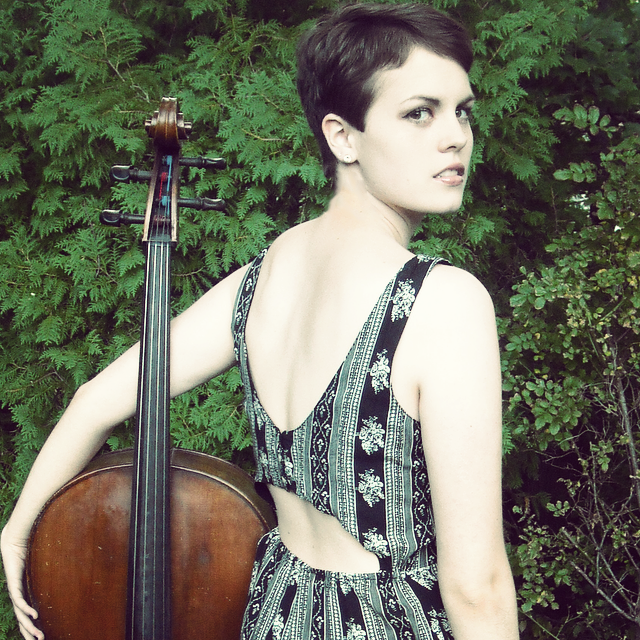 Nashua native Carolyn Regula began cello at the age of 8, studying under Lauren Chaney Mann. She has been in orchestras since she was 10 and performed in her first master class at age 11. She was in the NH Youth Orchestra for six years, where she held principal chair since the age of 11. Carolyn won the NH Youth Symphony Concerto Competition at the age of 15, and was a finalist in the NH Philharmonic Competition at the age of 16. In high school she joined the Boston Youth Symphony Orchestra, and toured in England during their 2010-2011 season. She's also attended summer festivals such as the Boston University Tanglewood Institute (BUTI), the Bowdoin International Music Festival, and the Hidden Valley Music Masterclass Seminar. At such camps, Carolyn has been chosen for prestigious performances, such as BUTI's "Tanglewood on Parade" and Bowdoin's faculty recital series. After high school, Carolyn was accepted to the College of Fine Arts at Boston University. While there, she was rewarded the Undergraduate Presser Scholar Award in the spring of 2014. In February of 2015, Carolyn was a featured soloist with the New England Repertory Orchestra (NERO) under the direction of Tiffany Chang. In April of 2015, she was also a featured soloist with the Southern New Hampshire University concert choir performing the Holocaust Cantata. She graduated in May of 2015 with a Bachelor’s in Cello Performance and in Music Theory & Composition. At the 2015 commencement, she was also awarded the Academic Excellence Award for having the highest graduating GPA in the class of 2015. Her cello instructors have included Rae Nickel, William Rounds, Michael Haber and Peter Howard. Her current teacher is Michael Reynolds of the Muir String Quartet. While studying composition, she also studied under Martin Amlin and Ketty Nez. Carolyn's cello is of German origin dating back to circa 1900, unknown maker.